Featured! The Good Union Home | About Us | Opportunities | Sponsorships | Contact Us! 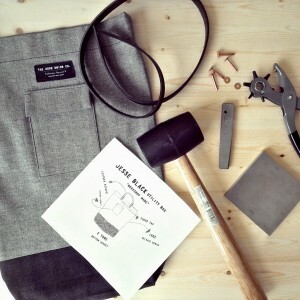 This week on Handmade Men we are thrilled to be chatting with James from The Good Union. This is an amazing shop that perfectly captures the look, feel, and passion of the American blue collar worker in designs that are perfect for both work and play. This growing shop offers a selection of fitted t-shirts, masculine bags, and unique necklaces that speak to the masculine spirit and the timeless power of craftsmanship. Enjoy! 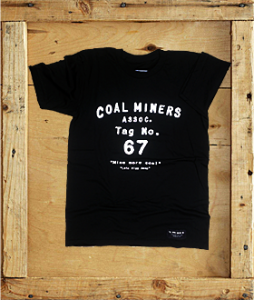 My designs are inspired by the American blue collar worker & display the quality of American made goods. The aesthetic of The Good Union product line is committed to preserving the old American industrial way of life. 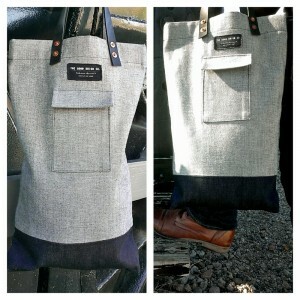 Your designs are really beautiful and are a much needed addition to the masculine wardrobe right now. What got you started in creating and designing the various pieces you offer? I have a true love for the early years of American made products. The major thing that inspired the merchandising of the shop is how well made American products use to be. I took notice to how much attention was given to detail on products from the early 1900’s. It was less about mass production & more about quality. So I wanted to display that same concept of quality & great attention to detail with the products I create. What are some of your personal favorite pieces from The Good Union line? Those are great pieces! We’re such big fans of your work! Why do you think that small shop, handmade, and unique pieces like these are such a great choice for men? Handmade & one-of-a-kind items can be a great way to distinguish your fashion style from the crowd. 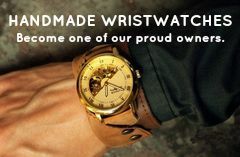 Guys should support handmade because it keep new & inventive products on the market. People should buy handmade for the men on their list because it allows you to buy items for him that you would not normally see in the retail stores. Thank you so much for introducing us all to your work and your style. We look forward to watching your shop grow! 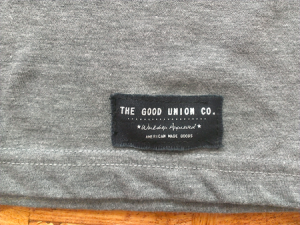 Tagged American Made, Bags, Necklaces, shirts, The Good Union. Bookmark the permalink.